Valentine’s Day is fast approaching and everyone’s scrambling to snag a date, even just for the day. But if your friend is single and doesn’t seem interested yet in finding the love of his life, what are friends supposed to do? 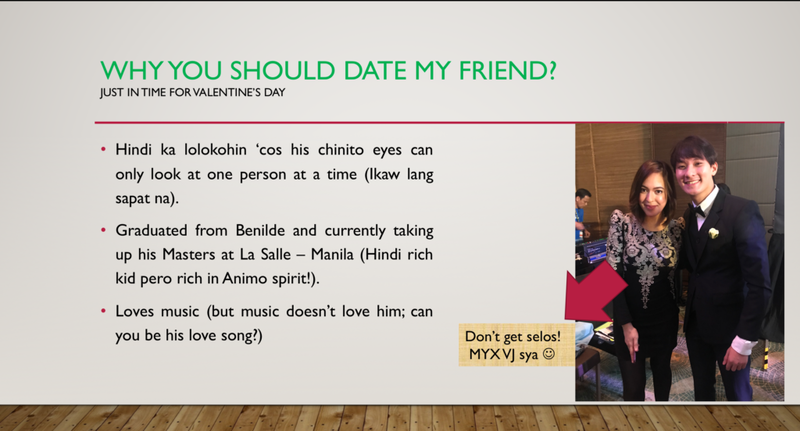 Well, a group of friends had a perfect answer to that: help him find “The One”! 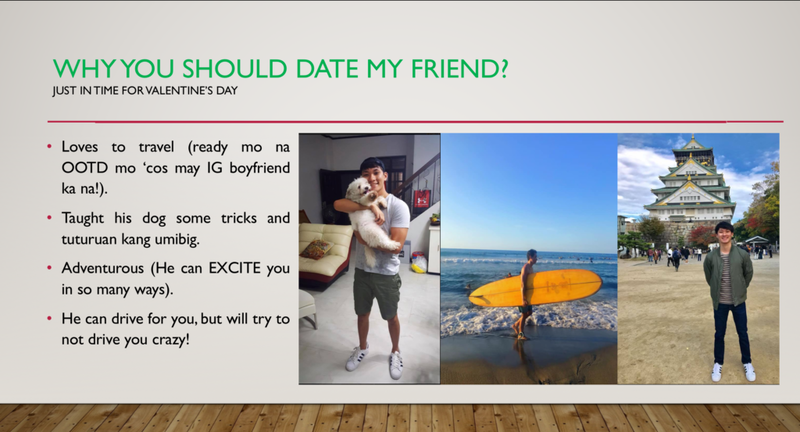 The friends created a hilarious yet also serious PowerPoint presentation for their friend, sharing this on social media in hopes that their friend could really find the girl of his dreams. Identified as ‘RQ’ or Rafael (@rdquilala on Instagram), the 25-year-old guy is a ‘good catch’, according to his friends; however, they were puzzled why he just doesn’t seem to be interested in dating. “He’s a good catch yet every time we ask him, his answer is ‘I haven’t found the right one yet’", one of RQ’s friends, Mark Uy, explained. Serious on helping their friend find his soulmate or a date for Valentine’s Day, anyway, Mark and the rest of the gang created the special PowerPoint presentation. It certainly got a lot of people cheering for RQ and his future girl as everyone admired his friends’ skills in creating a witty slideshow so he could find her. The first slide already gives a hint of what is to come. 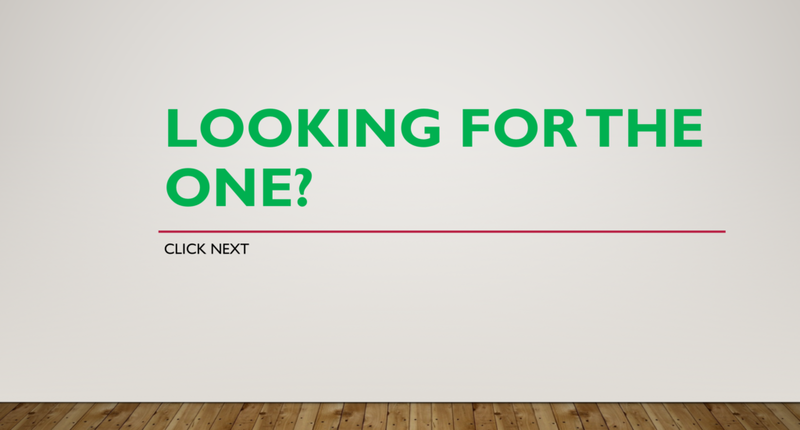 “Looking for the one?” the slide read. 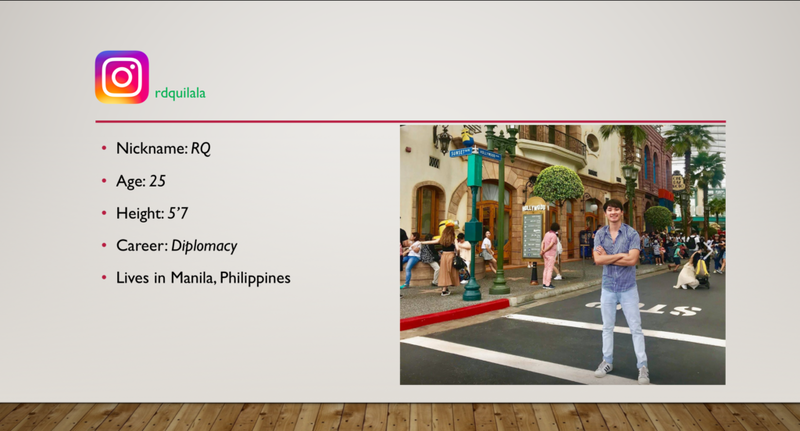 The next slide shares a photo of RQ plus a list of basic information about the bachelor. The girl is also told she’ll have an IG boyfriend if she picks their friend. 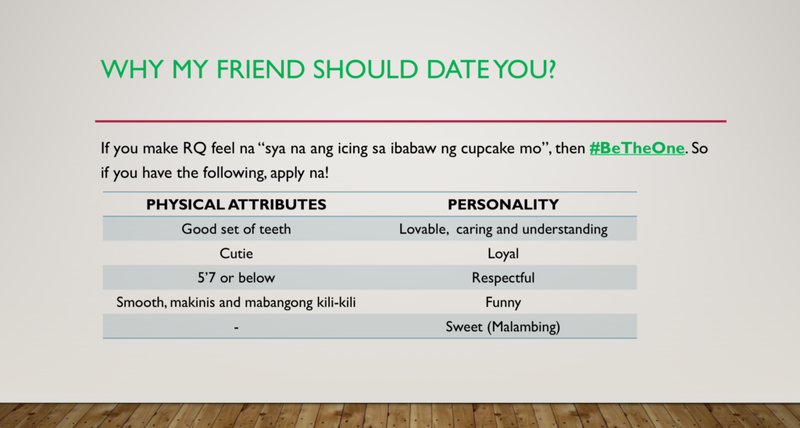 They also listed the ‘qualifications’ they are looking for in the girl they believe to be “The One” for their friend. 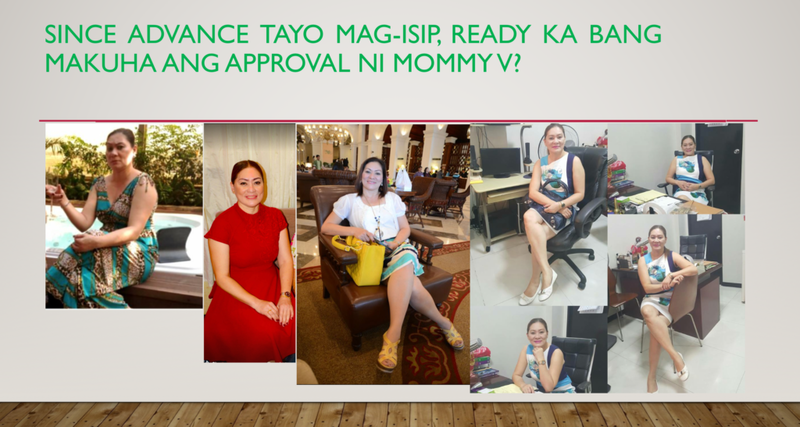 Then, the friends even shared photos of RQ’s mom, challenging this girl if she’s ready to meet her future boyfriend’s mom. 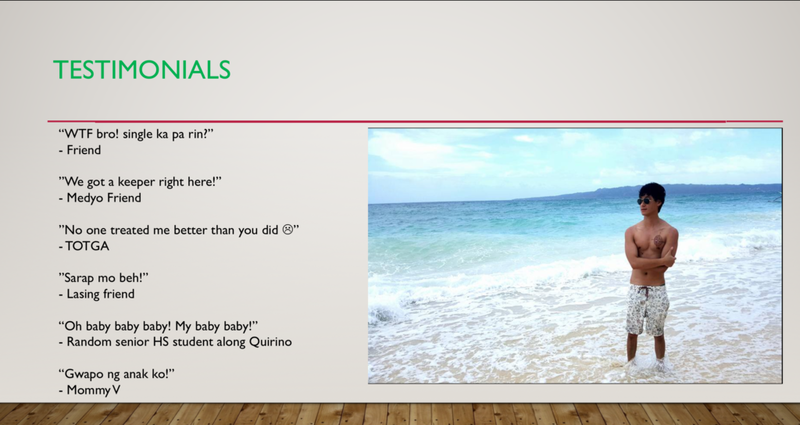 Netizens love the last slide best because the hilarious ‘testimonials’ are sure to make you laugh.